Nicht unbedingt eines meiner besten Zentangles, aber es hat mal wieder Spaß gemacht. Not necessarily one of my best zentangles, but it was fun drawing one again. I think it's great Kokopelli. I like the b/w of it. I'm so used to seeing the Zentangles in color, but this piece is unique. Great job. Happy PPF! I love zens and this is a great one. All the different designs you dreamt up are terrific. 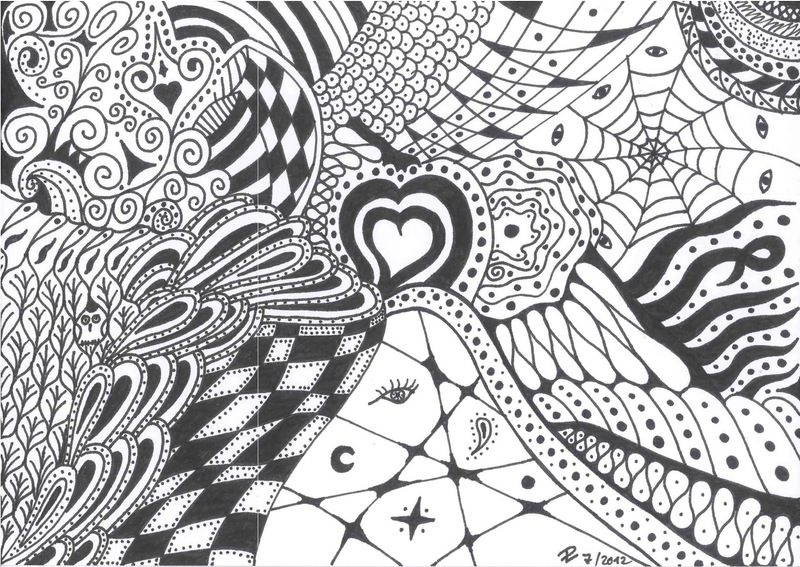 I just love the graphic black and white of your zentangle, it's so dramatic. 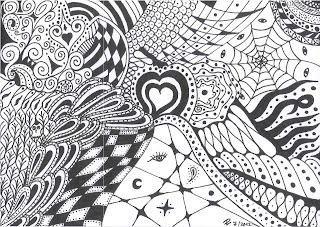 Lovely zentangle, love the heart in the middle.